McLaren has a long legacy of building cars that are as powerful as they are beautiful. Their latest lust-worthy vehicle is the track-dedicated McLaren P1 GTR which will make its debut at the 85th International Geneva Motor Show. The design pays homage to the yellow and green McLaren F1 GTR, chassis #06R, which has claimed its own place in history as one of the five F1 GTRs that dominated the 24 Hours of Le Mans in the historic debut by McLaren 20 years ago. This limited production car will be available to the fortunate few who will be joining the McLaren P1 GTR Driver Program that kicks off at the Circuit de Catalunya in Spain later this year. 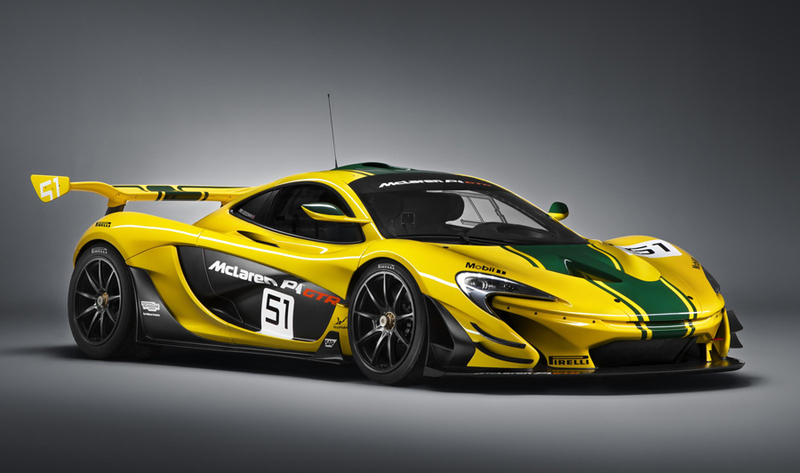 The McLaren P1 GTR was first revealed as a concept vehicle at the Pebble Beach Concours d’Elegance last summer. Based on audience feedback, customer requests, internal analysis, and an extensive and intense testing schedule across the world, McLaren decided to move forward with production. 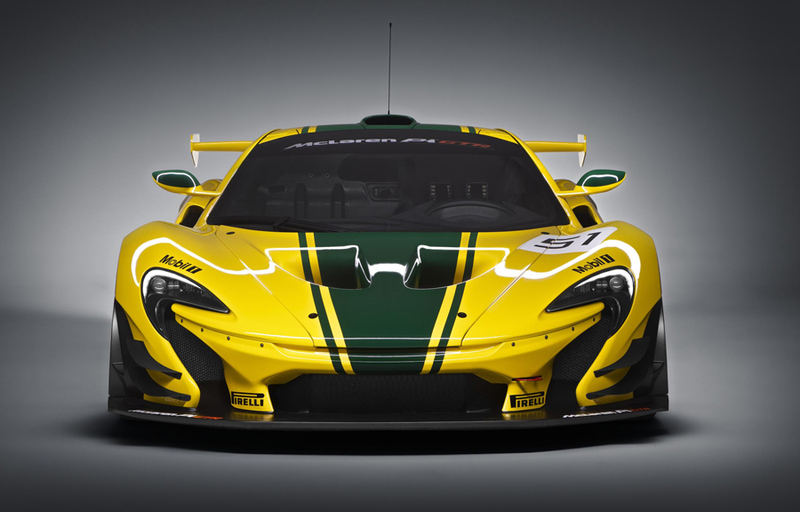 Although the McLaren P1 GTR is nice to look at, the car’s main focus is performance. The wide front track with its aggressively profiled front splitter was designed to optimize aerodynamic performance and cooling. 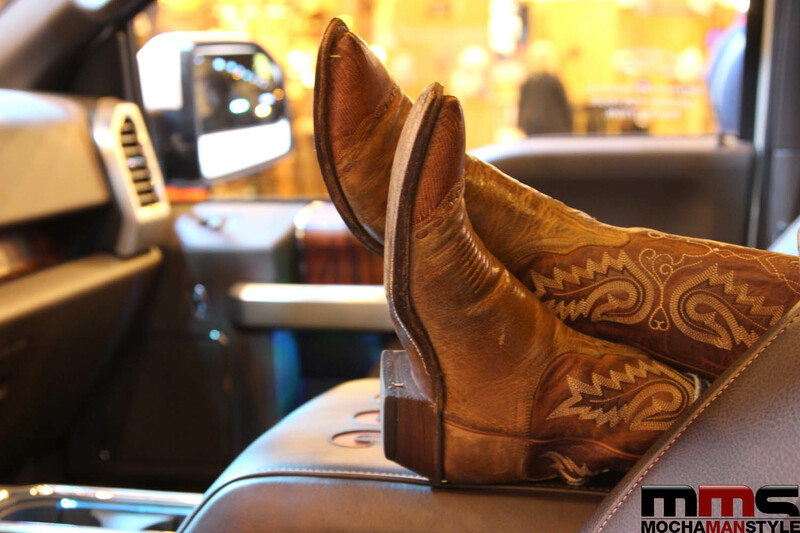 The lower bodywork is trimmed with a sleek aerodynamic blade which cleans the flow of air along the car’s flanks. The car sits 50mm lower to the ground than street-legal models and sports center-locking, 19-inch alloy wheels with Pirelli slick tires. The rear of the McLaren P1 GTR is dominated by a fixed-height wing which sits more than 400mm above the sculpted rear bodywork. Working in conjunction with the front-mounted aerodynamic flaps ahead of the front wheels, the rear wing helps to increase downforce levels by more than 10 percent – meaning up to 660kg at 150 mph. Another bold and differentiating feature at the rear are the large twin exhaust pipes, formed from an Inconel and titanium alloy. The interior of the car is built to racing specifications with a full-containment driver’s seat and a race-inspired steering wheel that keeps the driver’s hands firmly positioned at 9 and 3. The lightweight windshield, polycarbonatecarbon side windows, carbon fiber panels on the roof give the cabin a more enclosed, cocooned environment. Significant updates and modifications to the powertrain have been made beneath the carbon fiber bodywork. The McLaren P1 GTR seamlessly integrates the 3.8-litre twin-turbo V8 engine with an enhanced lightweight electric motor. Combined, these powerplants generate 789 hp.